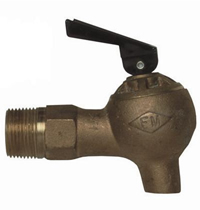 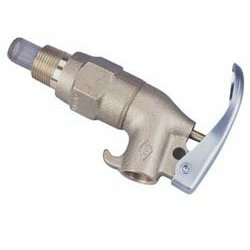 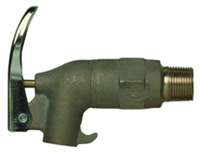 Justrite self-closing Safety Faucets incorporate an internal flame arrester which prevents flashback of fire into the drum. 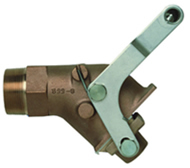 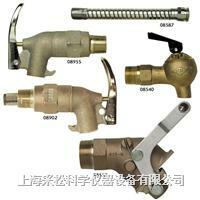 Brass and stainless steel faucets feature a Polytetrafluoroethylene (PTFE)® seal; zinc faucets have a Buna-N gasket. 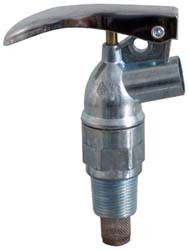 Adjustable models screw tightly into drum and can be adjusted to dispensing position, with spout downward, without thread damage or leakage. 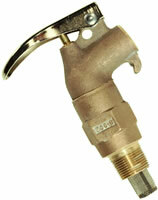 Faucet extensions provide extra dispensing accuracy and prevents spills.